I hope y'all have had a wonderful, inspired, getting-stuff-done kind of week. I feel like I did. 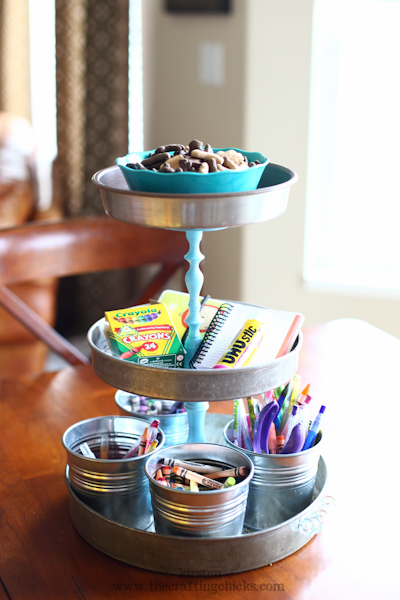 Now it's time for Pinning with Purpose, a chance to use and show off what you did with some of those Pinterest pins you've been saving. 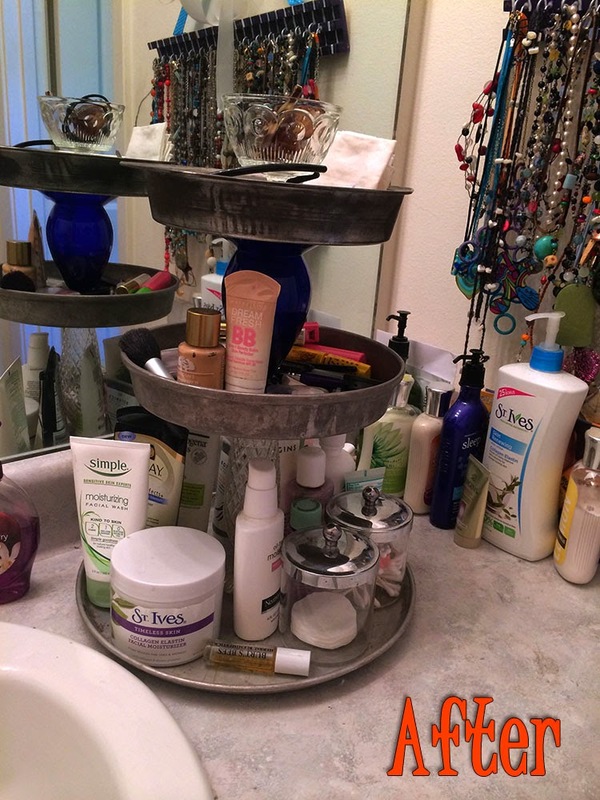 The Tiered Pie Tin Organizer: My bathroom counter was absolutely driving me crazy. I'm not one to use many products (seriously), but when I do I want them within reach. However this was out of control. 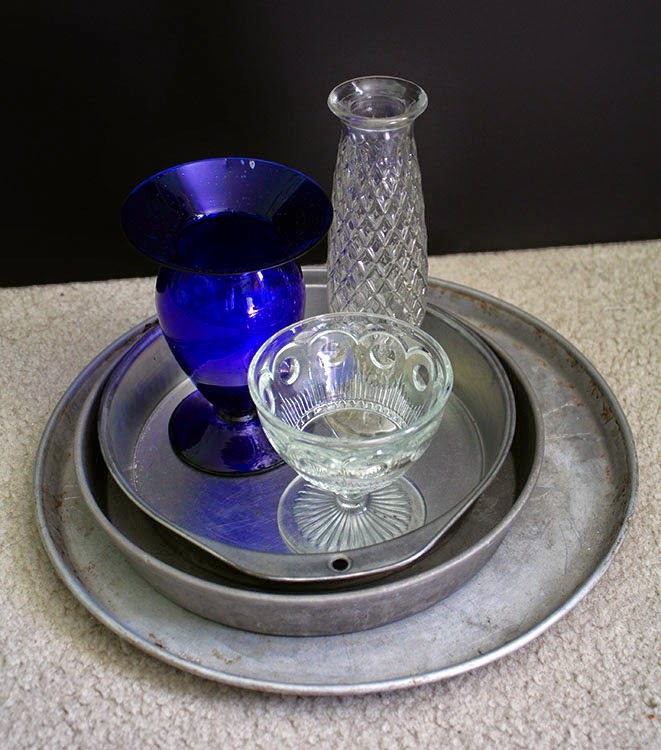 I collected a few pie plate pieces and some glassware (rather than the candlesticks as suggested in the tutorial) for my organizer. Some E6000 glued the pieces I wanted to glue quickly and easily enough. Now the right side of my counter looks like this! It's a breath of fresh air! 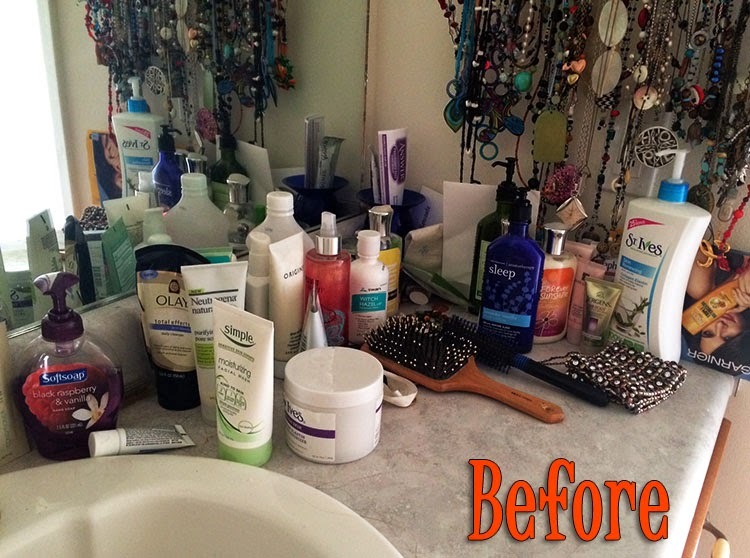 I still need to do something about the left side as well as the lotion collection. . .I'm thinking a loaf pan would be cool to hold those. What do you think? 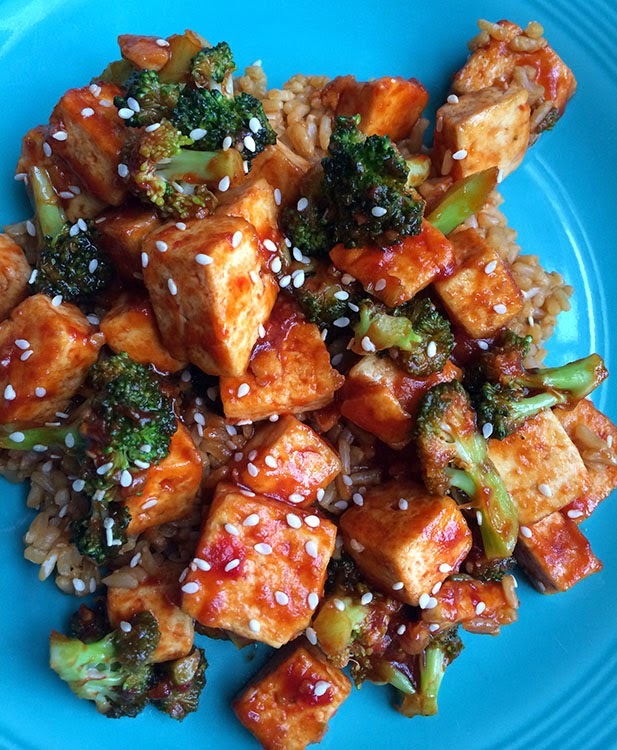 General Tso's Tofu: This recipe came together pretty quickly and was so, so good! Pat raved over it. I'll definitely be making it again. 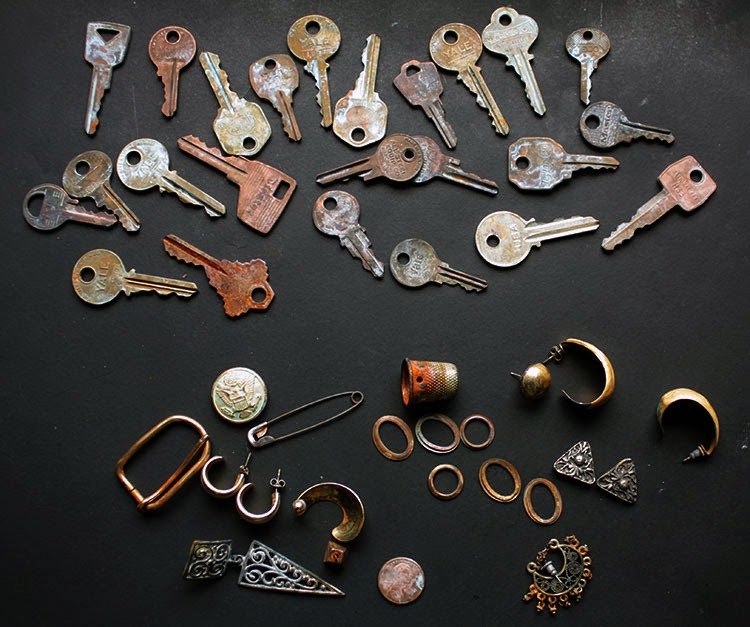 Rust and Patina: I've been wanting to find a natural way to color metal, something that doesn't seem so toxic. This how-to definitely fit the bill. 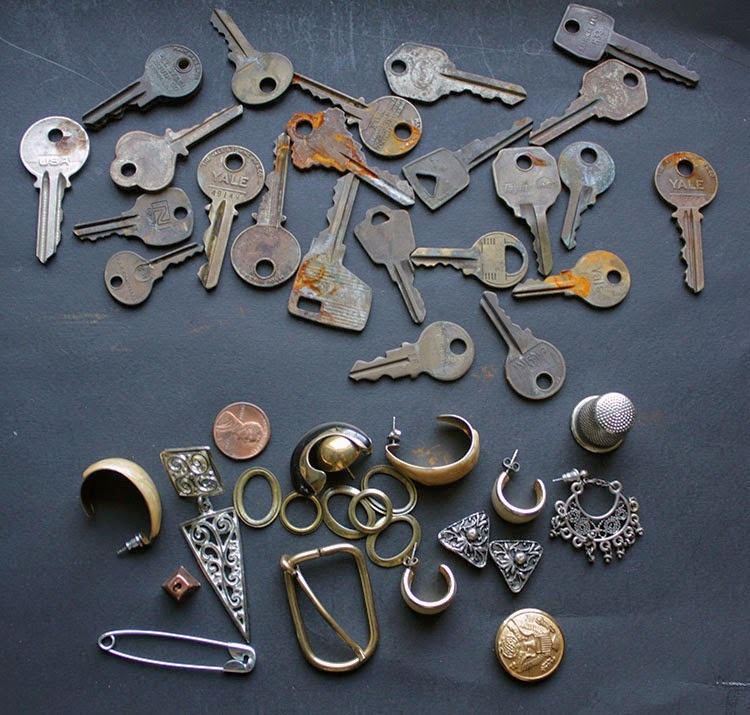 Here are the metal bits I gathered for this tutorial. I recognize that some of them are already rusty, but I figured it couldn't hurt. Here's how they came out. 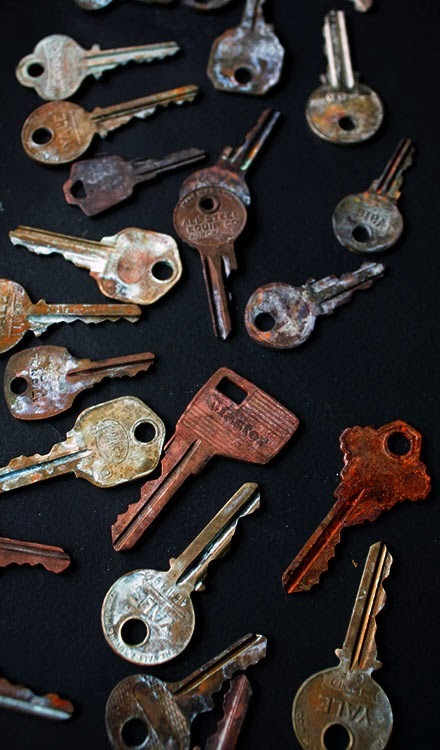 I know it's kinda hard to see a difference (clicking on the pictures should bring up a larger view) so here's a close up of some of the keys where you can see some rusted, some patina-ed, and some didn't do much of anything. Before rinsing, there was a bit more color on the metals, but I'm glad to know not to trust what the colors are before they are rinsed. Granted, this isn't a super quick method for coloring metals, but it definitely works for batches of items. I'm really happy with all three of my Pinterest trials this week and am looking forward to trying the following out next week. All Natural Strawberry Ice Cream Bars from Happiness is Homemade off my Healty-er Eats board. Homemade Laundry Soap from Natural and Thrifty (I'll admit, this is a cheat for me because I've made this before and need to make some more in order to wash clothes next week) from my Good Ideas board. Button Bobby Pins from Christina Homemaker off my Just Do It . . .Yourself board. 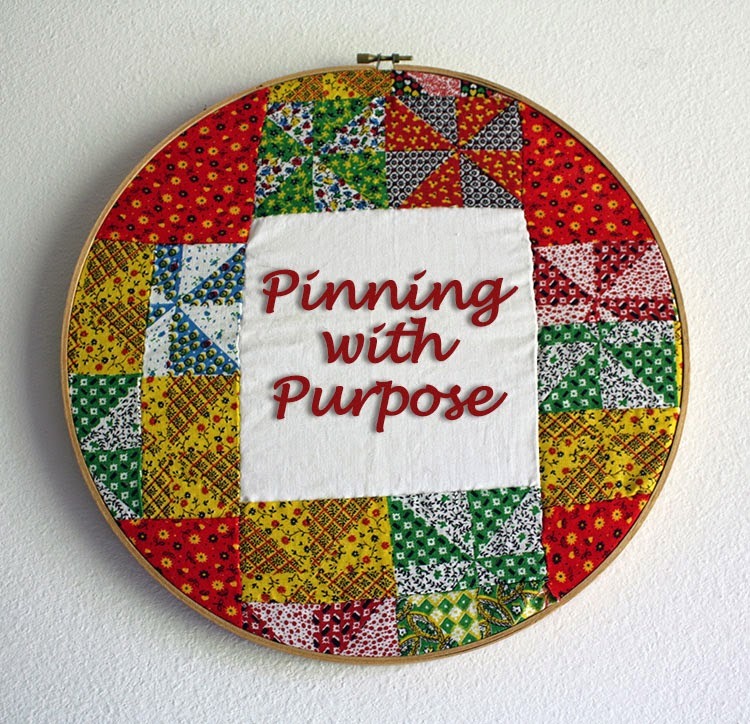 Now, if you also decided to work your way through some of your Pins and join in on 'Pinning with Purpose', please share your results here! I can't wait to see what you did. I am loving these posts. I think the whole idea is fantastic. The photos are great too. You're inspiring me!